One of the most rewarding things as an acupuncturist is hearing your patient snore. It might seem counter intuitive, but people falling asleep during their acupuncture treatments is very common. So common in fact, that many of my clients refer to their time on the treatment table as “Acu-Naps.” And while it is not essential to sleep in order for acupuncture to work, it is certainly a sign that it is! Sleep is such an important part of our health, but poor sleep and insomnia is often ignored by people as something they can “deal with” or “power through.” For others, insomnia can lead to sleep anxiety, creating a vicious cycle further impacting your sleep. Not sleeping well means that you aren’t allowing your body to recover and restore, and can leave you feeling tired, irritable, and can lead to other health issues. The deep relaxation that acupuncture treatments bring on is not only a great catalyst for a mid-day cat nap, but can also help address deeper sleep issues and insomnia. Traditional Chinese Medicine (TCM) likes to break down sleep problems into two main categories: difficulty falling asleep, and difficulty staying asleep. Difficulty falling asleep is generally due to the mind having a hard time letting go of its busy thoughts. We stay awake the continue to mull over the day and think about what we have to do tomorrow. I think of this as a hamster wheel that is spinning very quickly, and it is having a hard time slowing down. Acupuncture is able to help you break that pattern by moderating your autonomic nervous system. By calming your nervous system, acupuncture helps calm the mind and allows you to fall asleep more easily. Difficulty staying asleep can be due to a variety of factors. Often, it can be a secondary issue like chronic pain that wakes you as you toss and turn, or poor sleep quality that wont let you fall into deep sleep. In this case it is important to determine the cause and address it. If it is pain, that pain needs to be managed. If it is poor sleep quality, then that needs to be improved. Whatever the cause, acupuncture can address the issue and allow you to get a full night’s rest. Acupuncture’s ability to help with sleep is so universal that many of my clients that come in for unrelated issues often report back that their sleep is better since starting acupuncture treatment. The clients that have deeper rooted sleeping problems are often surprised when they drift off during the treatment, and at the end of their session tell me that they are ready to go home and go back to sleep! Some of them even book their appointments at the end of the day to take full advantage of that. Acupuncture’s ability to help with insomnia has been well studied. 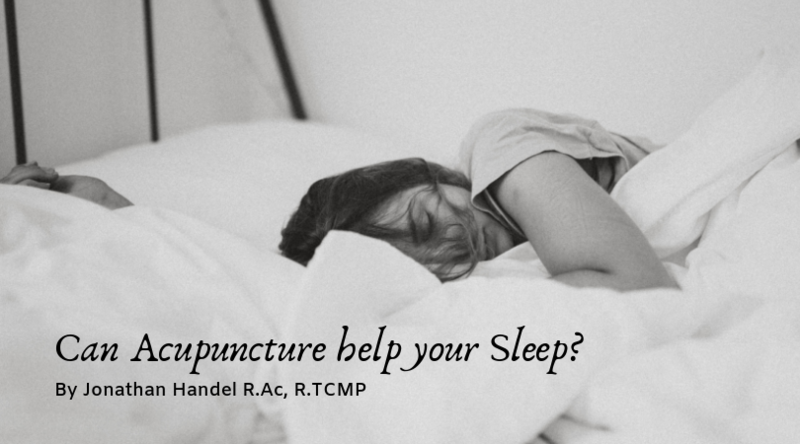 In a systemic review of 46 randomized control trials on acupuncture and sleep, researchers found that acupuncture performed better than no treatment, sham acupuncture, and even as well as medication in terms of helping sleep duration. So, regardless of if you need help falling asleep, staying asleep, or just want an opportunity to take a nap, acupuncture treatments are a great tool to re-train your sleeping patterns and get a full night’s rest. Have you had your acu-nap today? Jonathan is an acupuncturist and practitioner of traditional Chinese medicine. He values a holistic approach, and seeks to treat the root causes of illness and provide symptomatic relief for people seeking to better their health and quality of life. 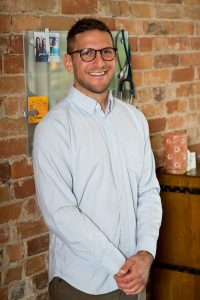 As a practitioner, Jonathan seeks to create a positive healing environment, where patients can step away from their daily stresses. Through creating a safe and comfortable space, patients can look forward to coming in for treatment as an opportunity to seek relief and get the support they need.